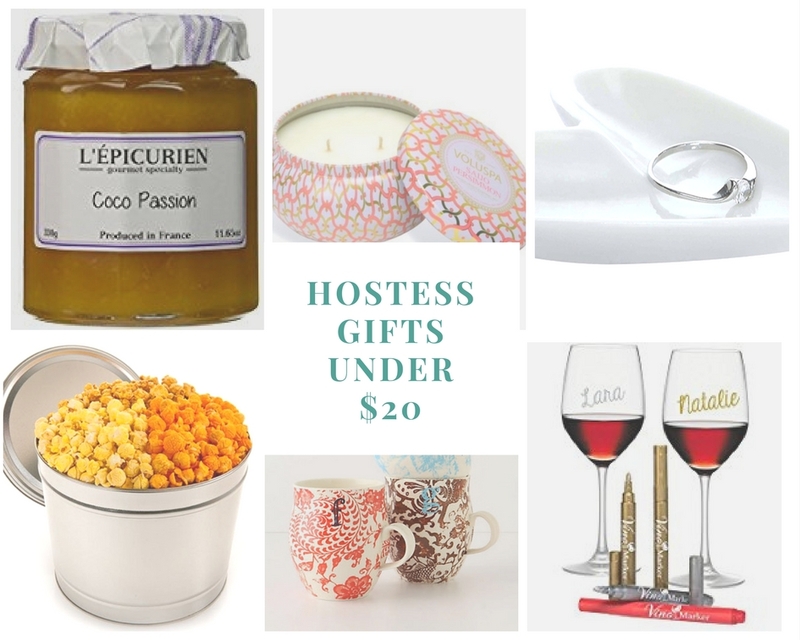 it's my girls' world: Favourite Hostess Gifts under $20. Lots of holiday parties, lots of fun, lots of hostess gifts. Here's the deal, if we're going to be having wine at a party, we usually take a bottle no matter what. My friends do the same. So in addition, we also give a little hostess gift. It's nice to give the hostess something for all her hard work, prepping the house and a meal for you. Usually less than $20 though we spend more if we are over night guests. Candles- one of my go-tos; these are my new faves from voluspa. Handmade or artisanal items- decadent handmade soaps or body butters from an artisal or farmer's market is always a lovely treat that someone doesn't usually purchase for themselves. Nailpolish- One of my friends once attached a nailpolish to a bottle of wine and I thought it was the cutest gift ever. Family treats: Tins of popcorn, bottles of gourmet hot chocolate,chutneys, caramel sauces-- such fun gifts for the whole family. Festive holiday napkins are so fun for the hostess to use during the season. Home made treats like jams, cookies or a banana bread for the next morning are wonderful treats. Monogrammed mugs- such a pretty mug that I think I've brought for my entire family and multiple ones for myself. This one is also so pretty. This post contains affiliate links - thanks so much for reading & supporting my blog! I bet you are the BEST hostess. Such great ideas!! I would love to have any of these gifts, especially those mugs. A girl simply can't have enough mugs if you ask me. So many good ones. Mugs and wine are my go tos! Monogrammed mugs though? Perfect! We gave scotch as our most recent hostess gift! OMG I have not had one of those giant tins of popcorn in YEARS - what an awesome hostess idea. I always give candles but need to branch out! I've been seeing so many cute ring dishes around! They are really cute gift idea! These are great ideas, some of them i would never have thought off!